In the eyes of the newly maturing U.S. Army Air Corps the Curtiss and Boeing aircraft companies were ideal competitors. These two manufacturers featured design teams which truly seemed to understand the demands of military aviation. Seemingly long gone were the days of fragile stick-and-canvas airplanes. Radial engines were giving way to inline engines, cooled with a marvelous new fluid, Prestone, providing far more efficient cooling of engines. The landing gear featured the newfangled oleo-strut shock absorbers, which promised increased safety and greater aircraft frame longevity. Experiments with superchargers started at this time, too, providing a glimpse into the future of aircraft engines. This was the environment of 1927, the year the XP-6 was born. In 1930, during the Great Depression, military experimentation continued under a tighter budget. Conflicts around the world dictated that the U.S. should not fall behind in aircraft technology, however, and the Curtiss Aircraft Company continued work at the behest of the USAAC. The P-6E was largely the same airframe as earlier P-6 variants, but aerodynamic changes included spatted wheels and a larger tailplane. A 600 hp V-1570-25 Wright Conqueror engine replaced the supercharged engines of the P-6D variants, and allowed a smaller radiator with Prestone coolant. It was armed with the standard dual .30caliber machine guns, mounted in the fuselage just below the exhausts. The XP-6E was enthusiastically received by the USAAC its top speed was 198mph, with a service ceiling of 24,700 feet. It compared favorably with its main competitor, the Boeing P-12 which was slower, but more maneuverable and possessed a greater rate of climb thanks to its 700lb lighter radial engine. In 1931 production began, and eventually forty-six aircraft would be delivered. Twenty-seven of these would eventually be destroyed in accidents. The P-6E would be withdrawn from active service in 1939 with the bulk of the remaining aircraft donated to civil flying schools as non-flying training aids. Eventual supercharger experiments would allow a P-6E variant to achieve 225mph. The P-6E aircraft received some of the most imaginative and colorful paint schemes ever seen on U.S. active-duty aircraft. These planes were as much public relations as they were offensive weapons. Throughout the summer army pilots would fly their steeds at airshows, showing the public where their scant tax money was being spent. Among these pilots was Jimmy Doolittle, who provided great services to the Curtiss Aircraft Company. These shows were thrilling affairs, and showed off the newest technology as we still do today. 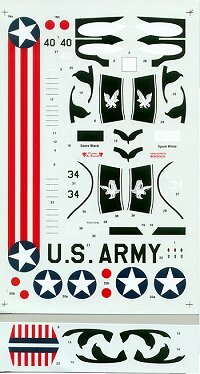 The paint schemes like the snow owl motif offered in the kit were very difficult to maintain, and only lasted a few years. I was enthralled by the Curtiss P-6E at the USAF museum in Dayton, Ohio. It has long been one of my favorite aircraft, in part because it features a very attractive color scheme on what is obviously an advanced fighter aircraft. The guns are barely noticeable beneath the unusual exhaust stacks, but provide an unmistakable sign that this is a machine of war. I've become a big Classic Airframes enthusiast over the last several years. 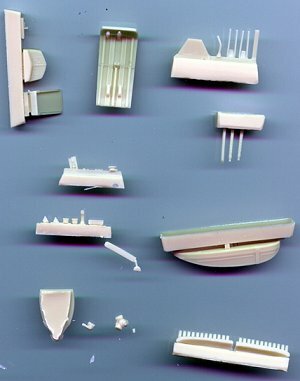 The kits continue to improve, and now feature resin details instead of photoetched parts, and much thinner plastic parts than older kits. If you only have experience with their older kits, you will be pleasantly surprised. 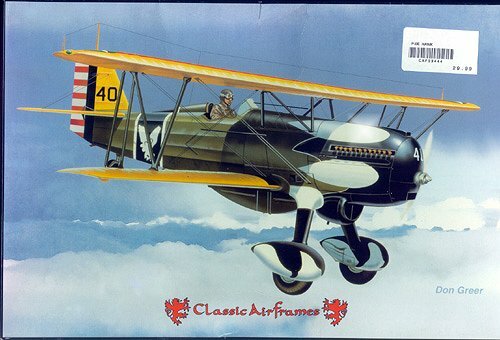 That being said, it is still a biplane, and having built the Curtiss Hawk III, I can tell you putting the wings together will not be easy for inexperienced builders. In the box you'll find a bag of finely cast resin parts. My copy had no defects in evidence, and when you see the exhausts, you'll be impressed. I would have preferred to see those exhausts packaged separately for protection, but they survived shipping fine. 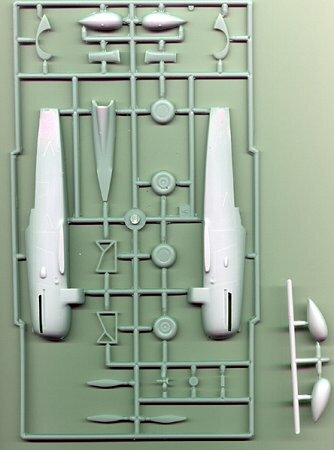 There are two sprues of injection-molded grey plastic. I didn't find any ejector pin marks or other glaring problems, though there is a bit of flash to be cleaned up and there are a number of depressions in compound curves which will require filling. I would have preferred resin wheels than the plastic ones, but they'll be inside the spats anyway. The main wing is molded in two halves, the tailplanes and lower wings are single-pieces. You have the option of partial or fully enclosed main gear spats, the later versions of the aircraft used the partial spats, as mud continually built up in the full spat. The instructions are better than those in the Hawk III but you would be well-advised to obtain reference pictures, particularly when rigging the wings. Overall, I'd say they are sufficient, but Classic Airfames has always been a bit light in this area. The decals are artful, as are the typical color guides. You get the option of a snow owl aircraft of the group commander with the plumage and upper wing color bars, and a basic 17th Pursuit Squadron aircraft from 1932. 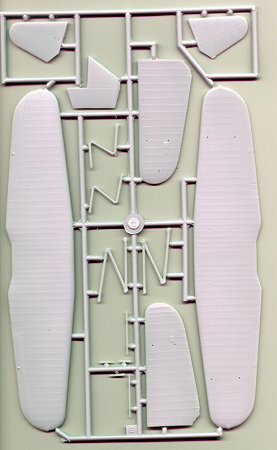 To achieve the group commander aircraft a masking template has been included. Overall I'm very happy with the kit as it sits in the box, the only other 1/48 P6-E kit available is a collector's item: the Aurora kit. (Editor's Note: Lindberg also does a 1/48 P-6E that is released from time to time.) I've wanted to build this aircraft for many years. With the kit you can depict one of many variants of the P6-E, should you choose to modify the engine.